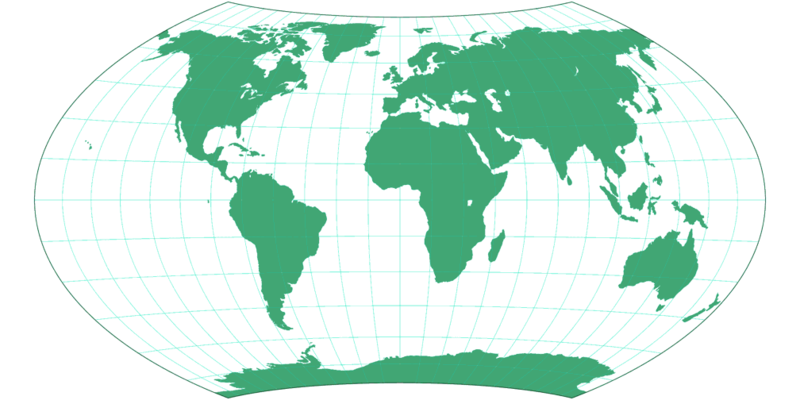 Wagner VIII Map Projection Image, green silhouette map. 15° graticule. Generated with G.Projector, Geocart or Flex Projector.